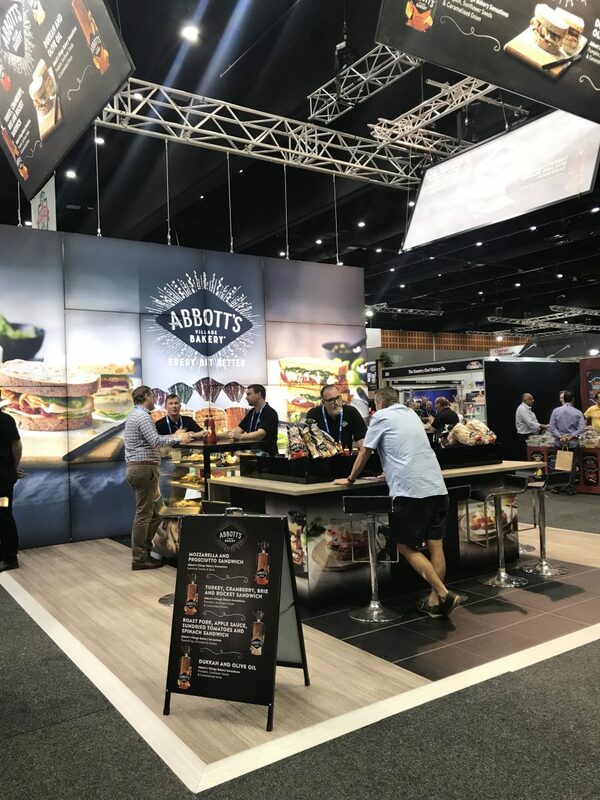 The George Weston Foods, Abbott’s stand was one not to miss at the annual Metcash Expo. 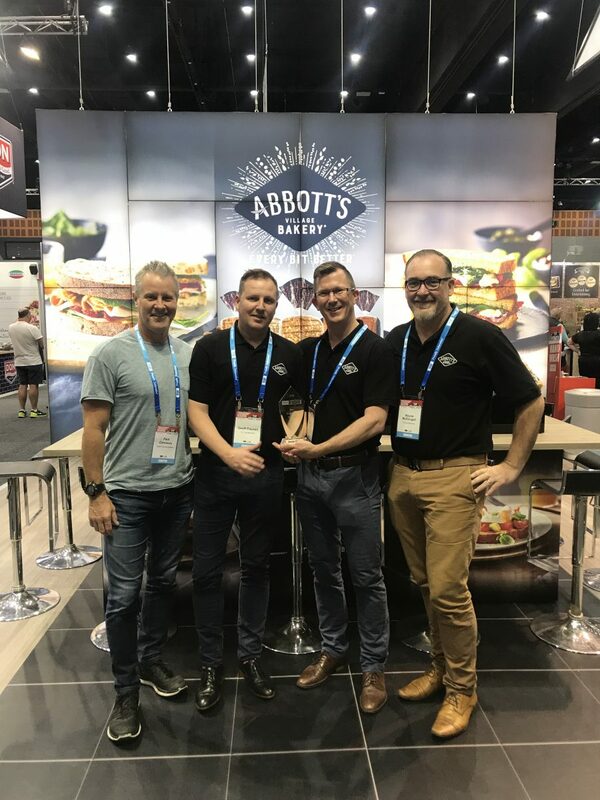 With simple yet effective design, the 6m x 6m open stand rose to the top being awarded “best exhibitor” for 2018. 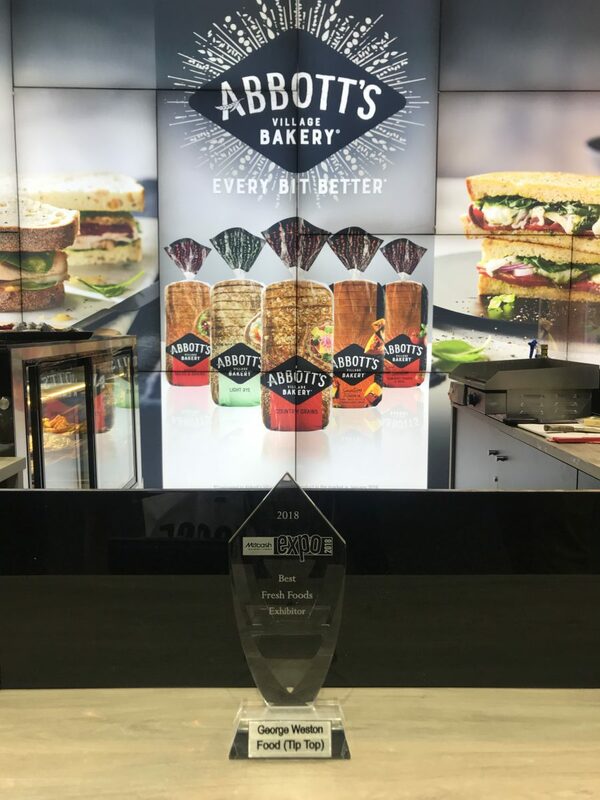 With a touch of the Cream Event Team’s unique innovation, Abbott’s Village Bakery successfully launched their re-branding and new packaging. The central u-shaped bench, doubled up as a cooking station and seating area, creating an interactive experience for all “foodies” to enjoy.